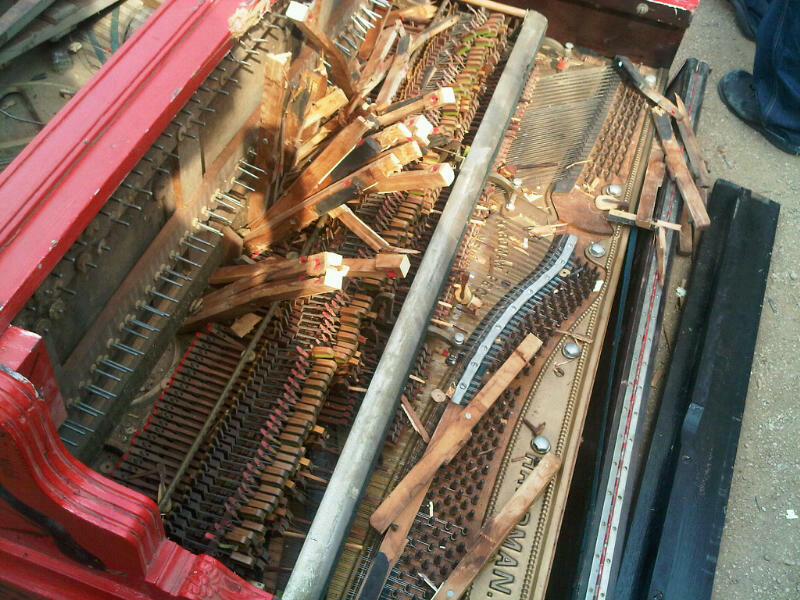 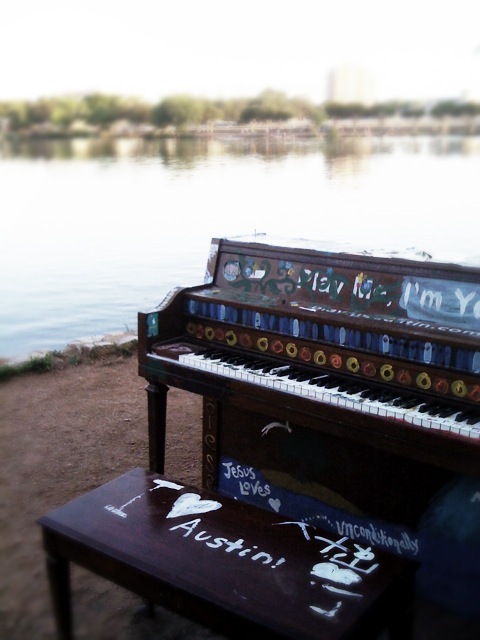 Austin Town Lake Pianos Update! 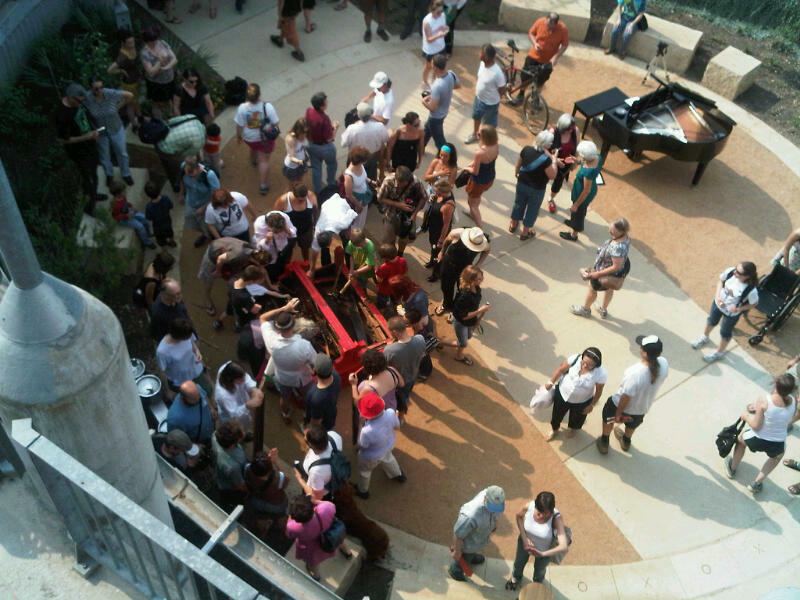 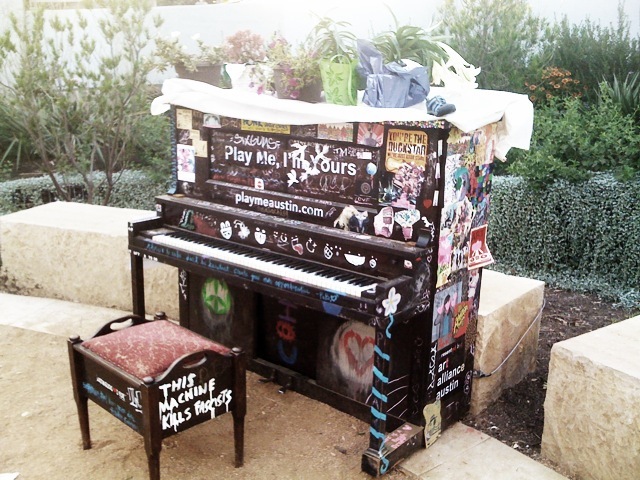 This past weekend, people were able to participate in smashing the “Play Me, I’m Yours” piano at the Pfluger Bridge Garden into pieces and taking them home as souvenirs. 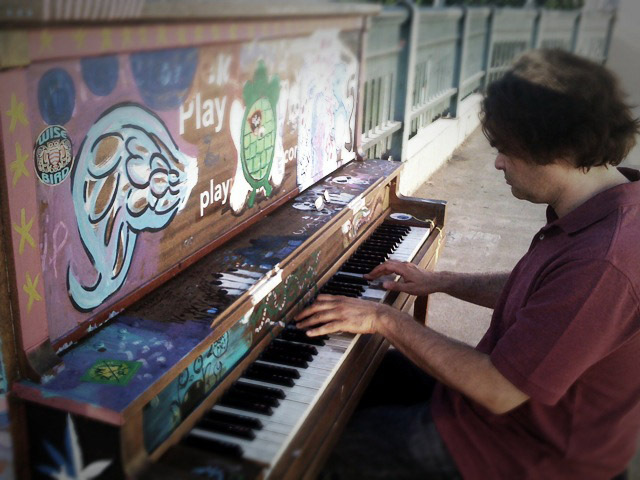 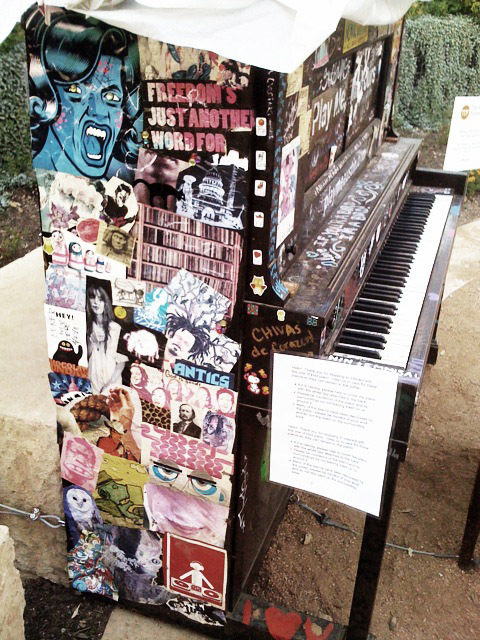 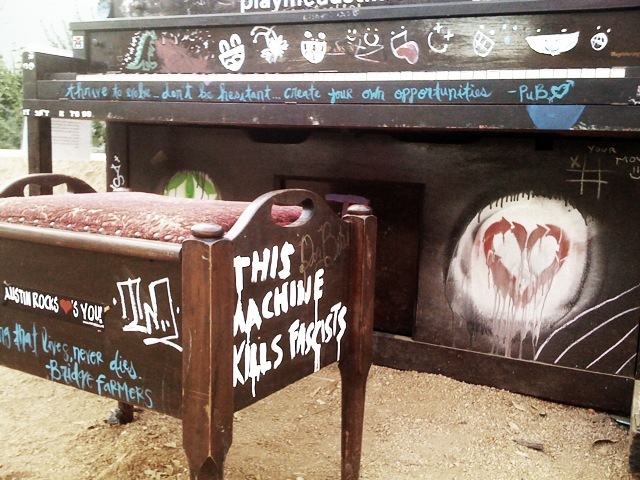 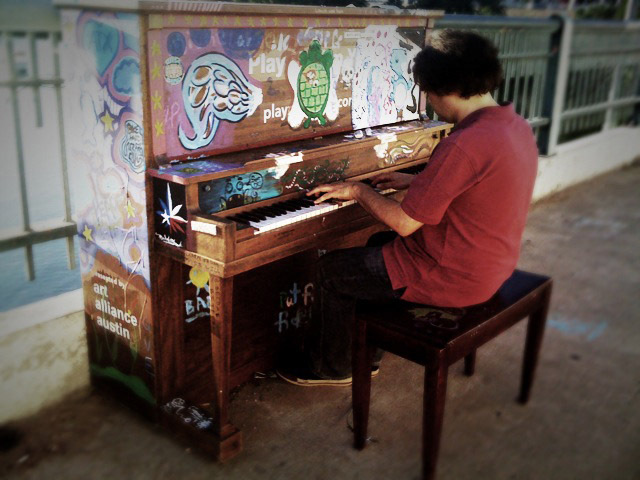 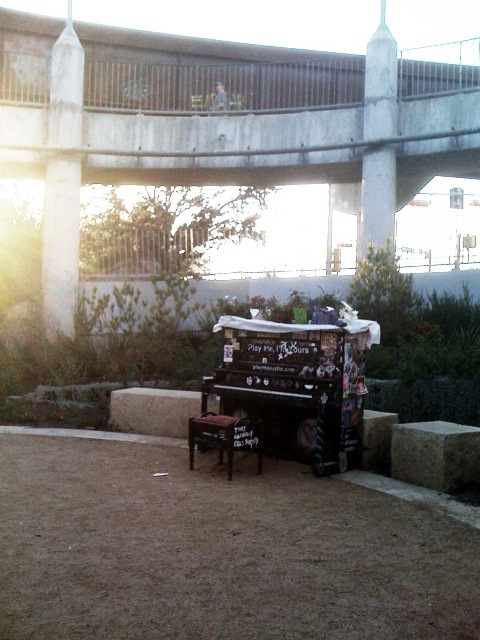 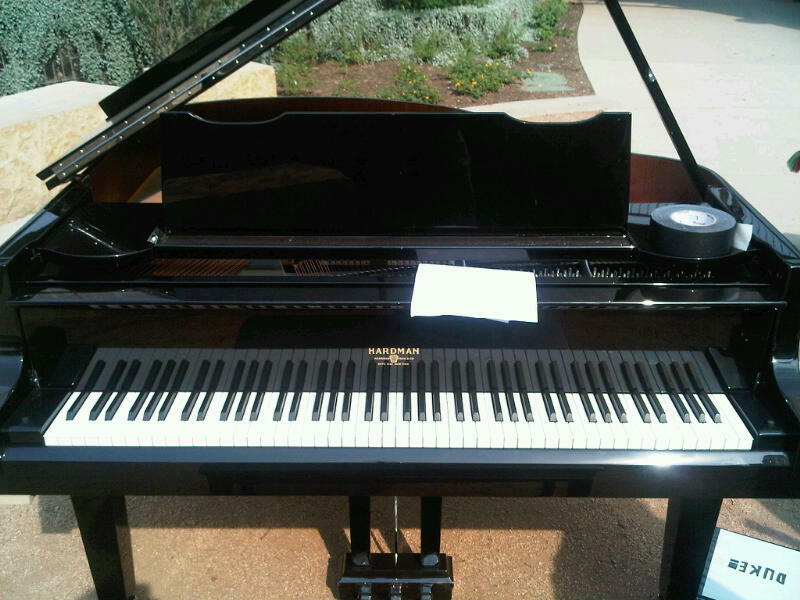 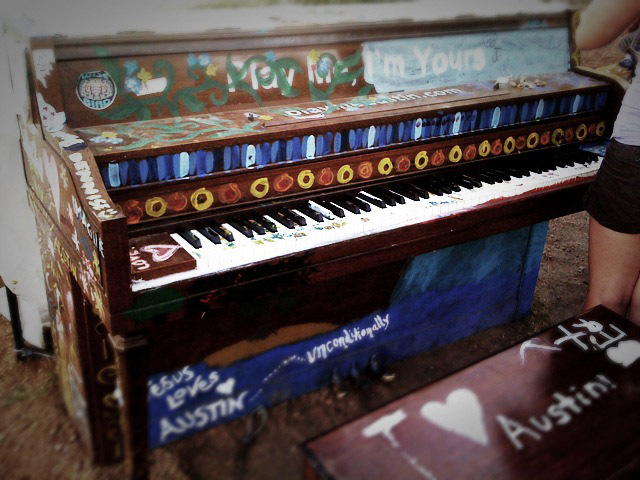 The pianos were placed around the city from April 1 – May 1, 2011 by the Art Alliance Austin to celebrate Art Week Austin. 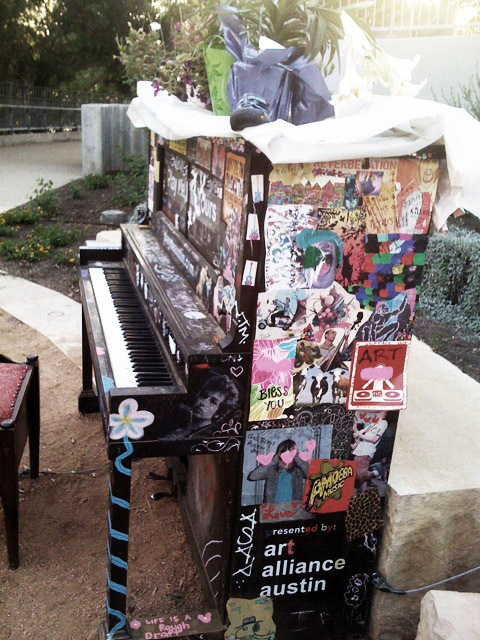 This concept was created by UK artist Luke Jerram in 2008 and has been touring internationally to major cities including NYC, London, and Sydney. 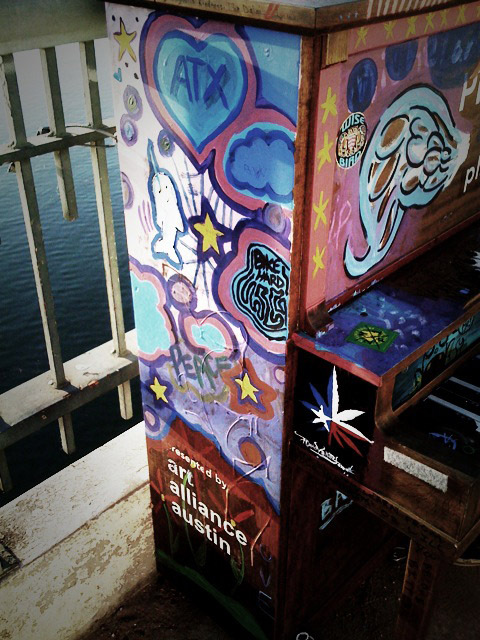 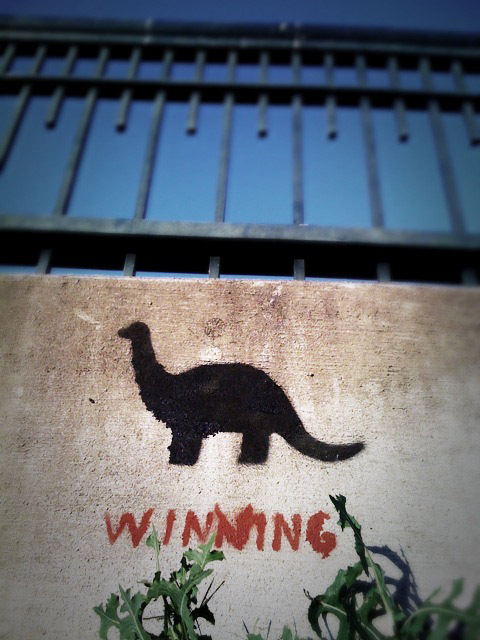 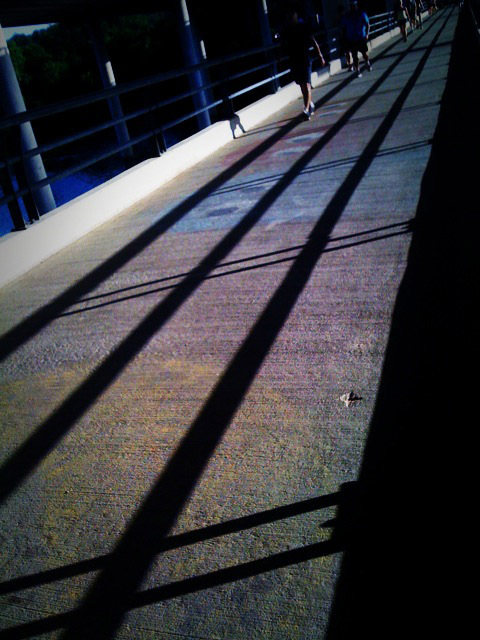 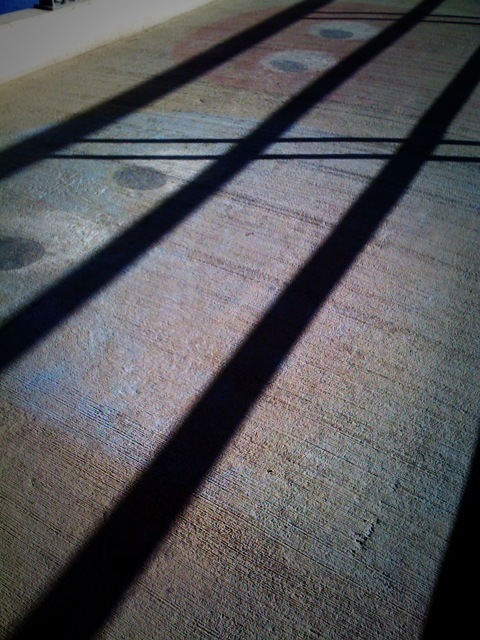 Upcoming cities to follow are Geneva (Jun 2011) and San Juan (Sep 2011).